U/9 Blue's played so well against the Yarra Jets on Sunday. All the girls have improved so much through the year and we are very proud of them and the way they have been kicking that ball around each week. 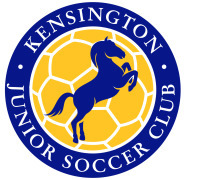 Last game this weekend against the Kensington Under 9 Gold side. What a great way to cap off a wonderful year. This was a good lesson for our girls in playing tough and actually, they met the challenge pretty well. The two goals we conceded in the first half were really just from basic defensive mistakes that require a little more aggression and concentration from the girls to overcome - and that will most likely come next year with an extra year's experience and maturity. 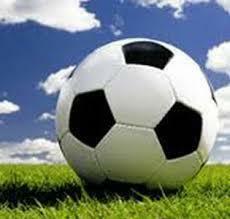 The conditions were tough with a very strong wind blowing down the pitch and a small astro-turf pitch made it tough. I was very pleased that the girls held out for a 0-3 result in such tough and unfamiliar conditions against strong and aggressive opponents. Well done everyone. Kangas travelled to Gisborne today and played a strong game against ne of the bigger and stronger sides in the league. Running with the breeze in the first half we made pleny of chances with Bjan finding the left post with one shot and Isobel the cross bar with another ... the goal box was crowded and we failed to put a goal on the board. Gisborne were a bit lucky to go 1-0 up late in the first half through a defensive ricochet from a strong clearign kick. Sarah did a wonderful job in goals and saved at least one other shot that looked certain for the back of the net. In the 2nd half we came out eager and looking to score Our mid field held firm and created some opportunities which just came up short. In the final 5 minutes we scored after much pressure from the goal kick and the 1-1 scoreline remained til the end of the game. All the girs played their part today and we still remain with a loss for the year. Excellent effort from everyone. In our last official outing for the year, the U12 girls travelled down the Monash freeway to play in the top of the table clash against Ashburton United SC Gold. The game was a tough physical bruising encounter which ended in a 2-2 draw. Both goals were scored in a similar manner by Delali. Del in both instances picked up the ball forward of the centre rounded the defence using her blistering pace and powered the ball past the keeper. The two goals scored by the opposition came from scraps in the 6 yard box with the ball unluckily falling to the opposition and being tapped in. With the game locked at 2-2 and in the dying moments Ashburton broke away only to be stopped by a brave and match saving tackle by Eloise. The challenge saw Eloise fly through the air and land heavily on the tackler. To her credit she took a few deep breathes dusted herself off and continued on in her “man” of the match performance. This hit out was a good warm up match for the grand final we are about to embark upon. Once again girls congratulations on a fantastic year. Regardless of the result in the grand final I am proud of each and every one of you. I have thoroughly enjoyed coaching each of you. Most of all I have enjoyed the improvement in you girls individually and in turn the team improvement. A special thankyou to all the parents, family and friends that have supported the girls all year round. A special mention to Katrina and Michelle for all their work as team managers. Let’s not forget John and Nick for running the lines. See you all on Thursday night for training. We have a couple of practise matches scheduled before the grand final. Good luck girls!!! A stellar 1-1 draw today at a wind blown Greenvale. Kensington had most of the attacking play in the first half but could not get enough fire power into the opposition penalty area and when we did the Greenvale keeper was equal to the task. Greenvale had one serious attack resulting in goalkeeper Abbie saving by tipping the ball round the far post. Greenvale had the wind in the 2nd half and sparked them into life taking an early lead in the half. A slight shuffle of the forwards & midfield led to Bridget getting more involved and threatening the Greenvale defence. A strong run into the box by Bridget whose shot could not be cleared by Greenvale and the ball crossed the line. 1-1 with 15 minutes to go. Kensington defence held on and an away draw against the team 2nd on the ladder was a great and well deserved result for the team. Well done girls!